AT HOME IN HER TOMB: Lady Dai and the Ancient Chinese Treasures of Mawangdui by Christine Liu-Perkins. Great adventures awaited the workers who uncovered the tomb of an ancient Chinese noblewoman named Lady Dai. In addition to finding treasures they uncovered a huge black coffin. Inside that coffin there was another one. They didn’t find the occupant until they reached the fourth coffin. To their surprise, a stench greeted them when they cut a hole in the silk cloth that surrounded the body. Join the scientists on their journey to uncover the contents of Lady Dai’s tomb. What was her last meal? What artifacts accompanied her on her final journey? Readers can visit the web site of the Hunan Provincial Museum, the home of these archaeological treasures. Teachers can find a guide to use with their students. This is a useful book for classroom projects on China. Ballet is a form of dance that attracts few African Americans. Two African American ballerinas would like to change that and both of them wrote books. 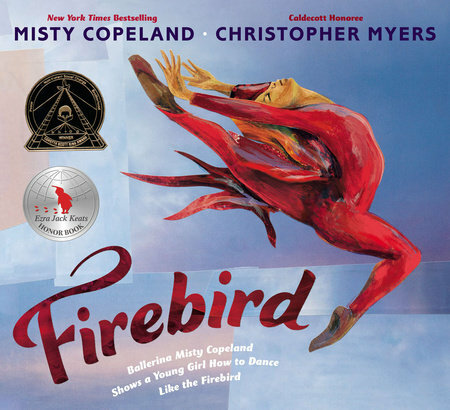 FIREBIRD by Misty Copeland is really an essay in picture book form. The subtitle is Ballerina Misty Copeland shows a young girl how to dance like the firebird, character in a famous ballet. Misty tells a potential ballerina of color what ballet means to her. One illustration in this book demonstrates the five positions of ballet. Today Misty is a principal dancer for the American Ballet Theatre. BALLERINA DREAMS by Michaela and Elaine DePrince is a biography reader in the STEP INTO READING series. Michaela DePrince is an orphan from Sierra Leone who was adopted by an American couple. She told her new mother that she wanted to study ballet. Her mother bought her a video of the ballet The Nutcracker. Michaela began her dance lessons. When she was eight years old she was able to audition for The Nutcracker. She won two roles in the ballet. Eventually she danced the role of The Sugar Plum Fairy, an important roll. She is now a professional ballerina. This book gives definitions of ballet terms such as combinations: putting ballet steps together. Deborah Amadei loves swimming and writing and especially loves sharing interesting books with other people. She started this habit during her career as a librarian. Please join her on this journey.